With basketball or football motifs on the back and front, this T-shirt looks athletic from all angles. 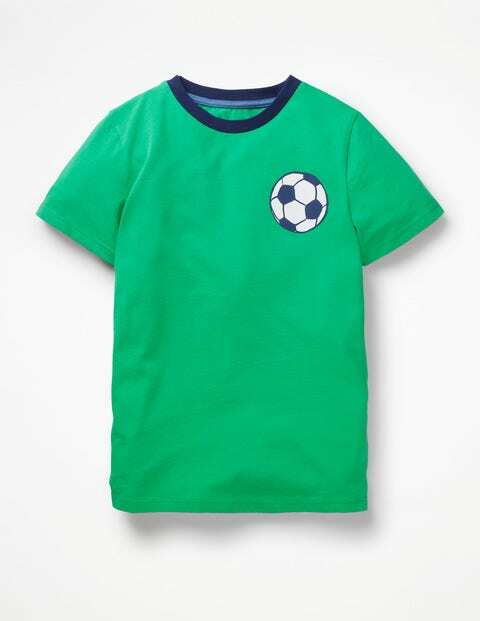 The relaxed fit catches the breeze when there are goals to be scored and the pure cotton means it's soft against skin. Thanks to the brightly coloured neckline and stick-out puff prints, the world's next top striker is easy to keep track of.